SEANERGY MARINE IS PROUD TO WELCOME THE BRAND-NEW ALFA LAVAL MIB 503 – A NEW BREED OF SOLID-BOWL SEPARATOR. 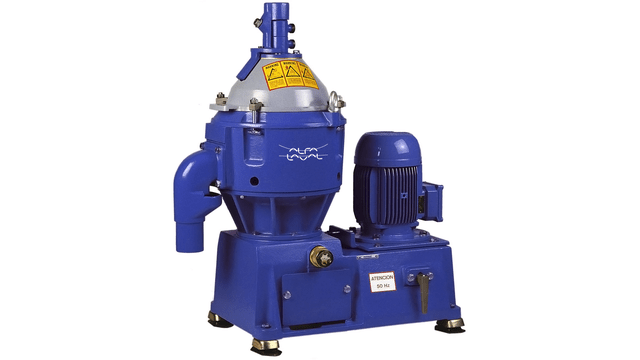 Streamline maintenance and reduce costs with the Alfa Laval MIB series centrifugal separation systems. Using advanced manufacturing, design and drive technologies, it’s smaller and lighter than conventional solid-bowl models. – Small footprint allows installation in narrow spaces. Solid-bowl separators have never been easier to install, operate or maintain. 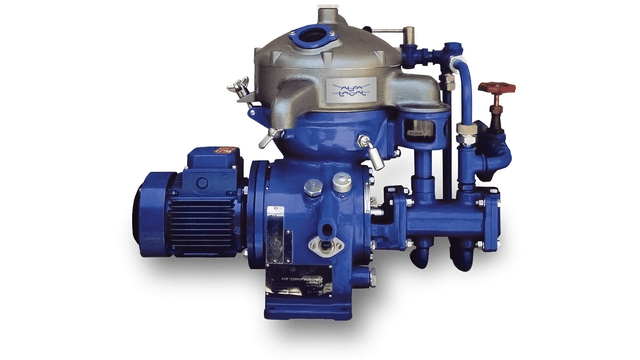 The Alfa Laval MIB 303 and 503 systems feature new designs and materials that improve performance and usability – reducing maintenance man-hours and boosting oil system reliability. > Are you interested in our products? Contact us. During navigation, water and residuals accumulate and tend to mix with the fuel causing serious damages to engines and clogging traditional filters as well, but with the centrifugal separator Alfa Laval oil fuel separator MIB 303 it is possible to purify fuel by removing any trace of water and sludge. 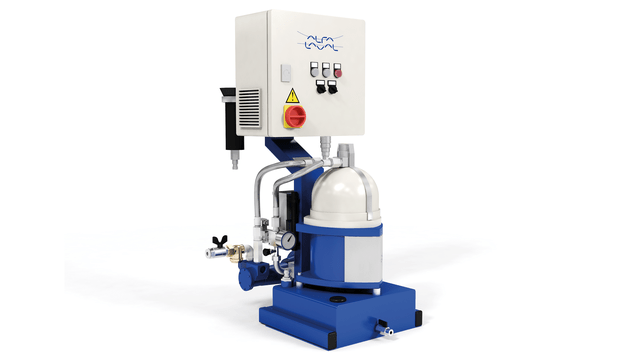 The Alfa Laval oil fuel separator MIB 303 features a new design concept. Advanced manufacturing, design and drive technologies have contributed to a separator more compact and lightweight than conventional solid-bowl models. Easy to install, operate and maintain. Small dimensions allow installation in narrow spaces. Removal of water from fuel improves the reliability of the fuel system. It also reduces the risk of bacterial growth in tanks that could clog the filters. Purification or clarification of mineral oils used in marine. Installations and power stations (fuel and lubricating oils). 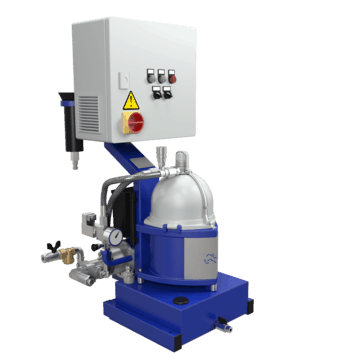 The emmie mobile cleaning system for hydraulic oil comprises a trolley mounted centrifugal separator and a mobile electrical oil heater. Wheeled between hydraulic systems, emmie removes water and 99% of all particles in the size range 2 μm–5 μm. Installation-free start-up, emmie can be connected to a hydraulic oil tank in minutes. Then simply plug in and switch on. Separator, pump and heater operate on single phase 230 V AC, and can therefore be plugged into any wall socket. The entire system can be wheeled from tank to tank. cartridge consumption is reduced and there is less contaminated oil to dispose of. Purification or clarification (optional) of mineral oils used in marine installations and power stations. Has a compact and robust design and requires limited space, it’s easy to install and requires fewer service manhours. It’s available in 304 version with a max rate of 2700 l/h, and 305 with a max rate of 4800 l/h. The PA purifier system is specifically designed for purification or clarification of mineral oils found in the marine and power industries. Heavy fuel oils with densities up to 991 kg/m3 and viscosity up to 600 cSt/50°C. 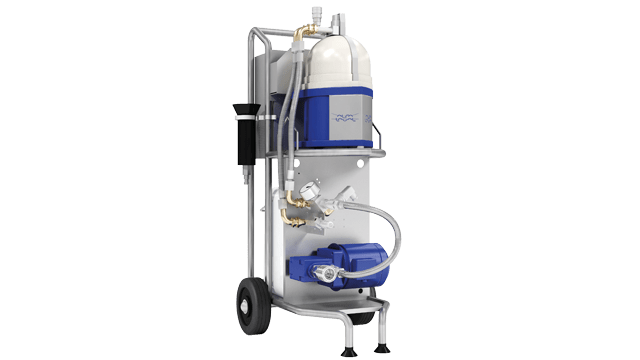 The PA purifier system is suitable for shipbuilders and ship operators in newbuilding applications; power plant builders and operators; diesel engine builders and in retrofit applications to replace or supplement existing cleaning systems. 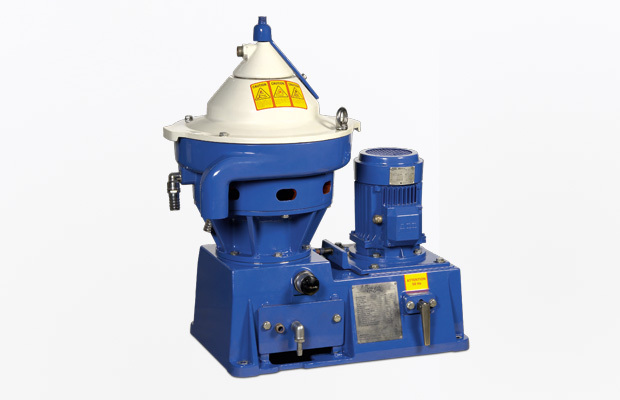 Available in 605 version with a max rate of 1900 l/h, and 615 with a max rate of 3300 l/h. Fill out the information request form. Having read the Information ( link to the information ) on the processing of personal data PURSUANT TO ART. 13 of EU REGULATION 2016/679 (GDPR), we inform you that the personal data supplied by the users sending request are used only for the purpose to perform the service or the required performance and are not communicated to third parties. Owner and manager of data processing is Seanergy Marine s.r.l., via Oberdan 2, Senigallia (AN), Italy.